Visual effects can make or break a movie. Similarly, a sub-par computing experience can make or break a creative professional trying to work on those visual effects. There’s a reason why some of the biggest names in visual effects and animation rely on Teradici to ensure performance that matches a workstation experience, with 100 percent color matching and full-HD lossless support, even across multiple displays and under less-than-optimal network conditions. Teradici has been proud to help support the creative teams of Industrial Light & Magic, a Lucasfilm Ltd. division, helping bring films such as Star Wars: The Force Awakens to life, and with Sony Pictures Imageworks to help bring the new The Angry Birds Movie to life. 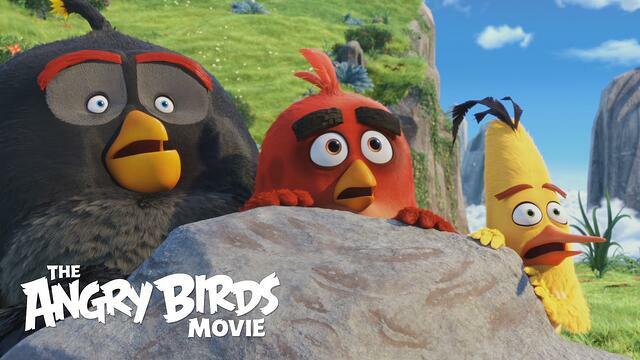 Sony Pictures Imageworks previewed a sneak peek of Angry Birds at the end of May, ahead of its recent (and successful) release. The screening included a panel discussion moderated by USA Today’s tech columnist Jefferson Graham alongside Sony Pictures Imageworks VFX supervisor Danny Dimian and layout supervisor Steve Childers, both of whom worked on the film, and by Dell exec Karl Pretzel and NVIDIA senior product manager Austin Robison. The group discussed the technology and workflow behind the creation of The Angry Birds Movie, which included support of Dell, NVIDIA and Teradici PCoIP technology. As summarized by Animation World Network, the panel recounted that a single 30-second sequence from The Angry Birds Movie would have taken 18 years on an off-the-shelf PC, but took only an hour using the Dell Precision Workstations outfitted with NVIDIA Quadro M6000 24GB, M4000, and K2200 high-end graphics cards and supported by Teradici PCoIP technology. Three remote teams across Southern California and Vancouver were all able to access the same data and information in real time, with no security leaks, all thanks to PCoIP. PCoIP delivers high resolution, full frame-rate 3D graphics and high definition multimedia to remote workstation users. Best of all, creative teams can leverage the talents and insights of multiple teams and professionals, all around the world, who can work together in real-time. PCoIP is also inherently secure, a vital component to ensure that no leaks happen in the competitive movie industry. Because the protocol transfers images only, in the form of pixel location information, no business information ever leaves the data center. In addition, because all software lies safely inside central systems, no one can tamper with service quality or introduce malware based on application infiltration. UPDATE: Please note that PCoIP Workstation Access Software is now end-of-lifed, but if you're looking to deliver graphics-intensive applications form the cloud, then Teradici Cloud Access Software could be for you!